Burrowed along the Grand Mesa, the Book Cliffs and the Colorado Monument, Z’s Orchard sits in an ideal location, brimming with water and sunshine. 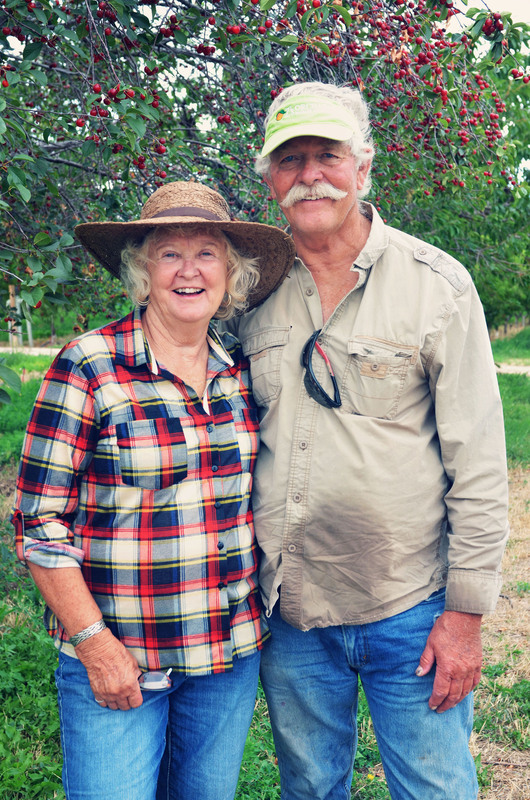 Owned and operated by Carol Zadrozny and Richard Skaer, the focus is primarily peaches. 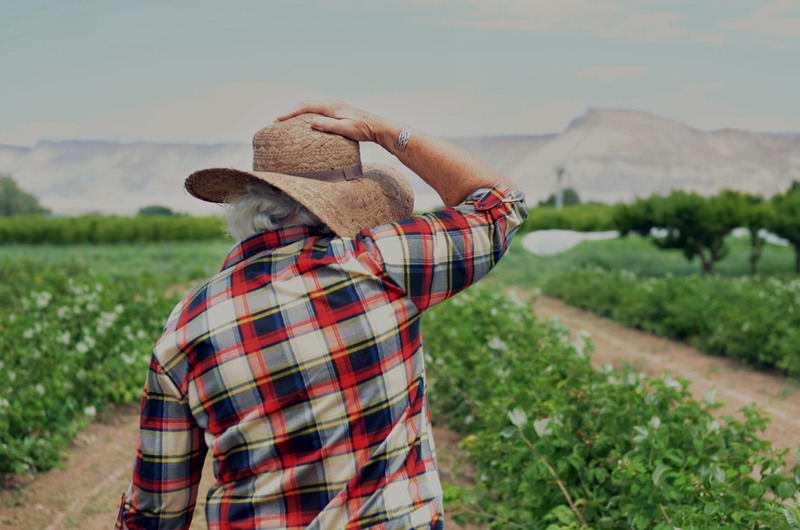 But with the help of four generations, they also cultivate flowers, cherries, beets, carrots, onions, strawberries, herbs, and a gamut of greens. “We’ve got ourselves a fruit cocktail,” says Skaer with a big grin. What they also have is a commercial kitchen, where Skaer cooks up strawberry and raspberry-spiced vinaigrettes alongside a secret concoction with a carefully guarded recipe. When one hears “shrub,“ the imagination tends to land outside on a patch of bushy greenery and not inside on a carefully crafted 15th century recipe consisting of vinegar, sugar and fruit. The word “shrub” comes from the Arabic word sharab, meaning “to drink.” Shrubs started as medicinal cordials in 15th century England but soon became the smuggler’s best friend. The contrabandists would levy barrels of alcohol into the sea to avoid paying taxes. Later, shrubs would be mixed in to mask the salty seawater that had seeped into the barrels. Later, but prior to refrigeration, the shrub was used as a method of fruit preservation since vinegar acts as a preserving Jedi. The shrub syrup can be used as a marinade, a zesty salad dressing, an ice cream topping and, most popularly, a cocktail mixer. Richard Skaer discovered shrubs in an old recipe book, and has been making and selling them at the orchard to great acclaim. Since he is understandably hesitant to divulge his personal recipe, the time had arrived for me to embark on a shrub recipe-concocting mission using Z’s Orchard hardy Autumn Bliss raspberries. There are many ways to make a shrub. Below is a recipe using the cold method. 1.5 parts vinegar in volume (balsamic, champagne, red wine, apple cider). I used a mixture of balsamic and apple cider. 2 parts berries in volume (You can experiment with the type of berry and various stone fruits). 1.5 parts sugar in volume. Mix all ingredients and macerate the fruit. Store in a sterilized container with a lid, every day continuing to mash up the ingredients, creating a syrup. After 7-9 days, it has sat long enough in its juices. Strain off the fruit solids with cheesecloth and reserve the liquid; this is your shrub. For a shrub cocktail, mix 4 tablespoons of the syrup with 4 tablespoons of your alcohol of choice and top with soda water. For a non-alcoholic version, top with ginger ale and/or soda water. This is an excellent autumn libation, delicious and pleasing to the eye. You can get even craftier, adding fresh herbs into the primary mixture. Store your mixture in a tightly sealed glass container for up to six months in the fridge.